Dena Dayana Dayn Dyna: Juicy juicy...keep on grilling please. Juicy juicy...keep on grilling please. The place was so wide like idk which part to capture, so panorama picture it is. hehe. 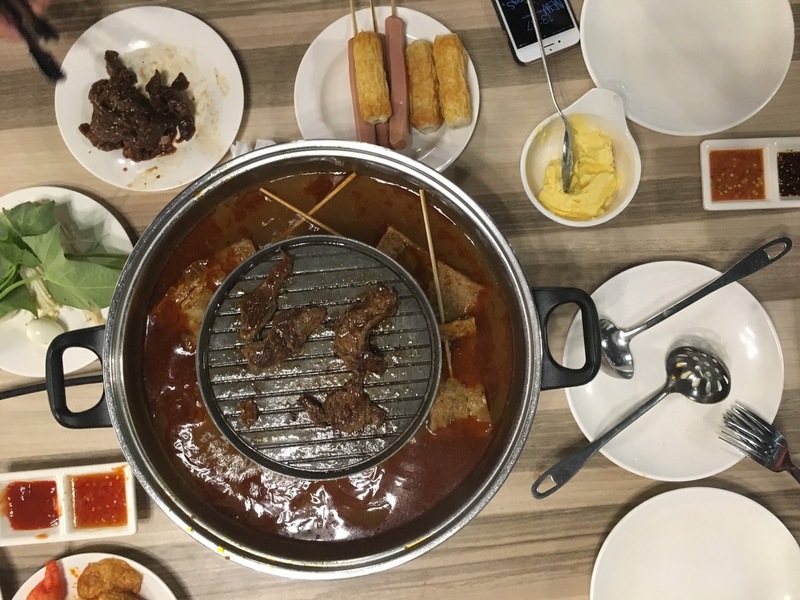 It was called Pak John Steamboat & BBQ which is located at The Curve, Damansara. Desserts!!!! 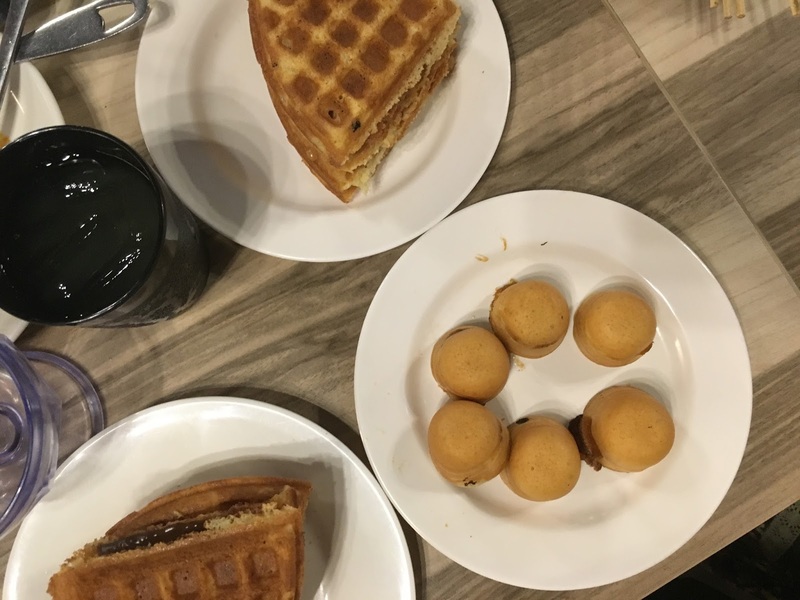 Oh and the Waffle and Kaya Balls station! I enjoyed them a lot. We have to order them and the cook will make it for you. We can choose our fave fillings to be filled in the waffles, too. And to the right of this station it's a place for drinks and ice cream, so you can go and scoop some ice cream to be enjoyed with your waffle. That's not all, you can enjoy some fruits before your meal and also some Malaysian desserts placed together in a fridge to keep it cool! The fridge is put beside the vegetable station. Not to forget, you can cook your choice of noodle that can be taken at the waffle station. More more there's more... you can also get your meat sliced! You can do so at the sauce station where their cook will slice them for ya. Ok, i look chubby here but nevertheless this photo is awesome! As for the price, I'm not sure if it's okay or not but i think it's quite worth it with their varieties of food and place and service... 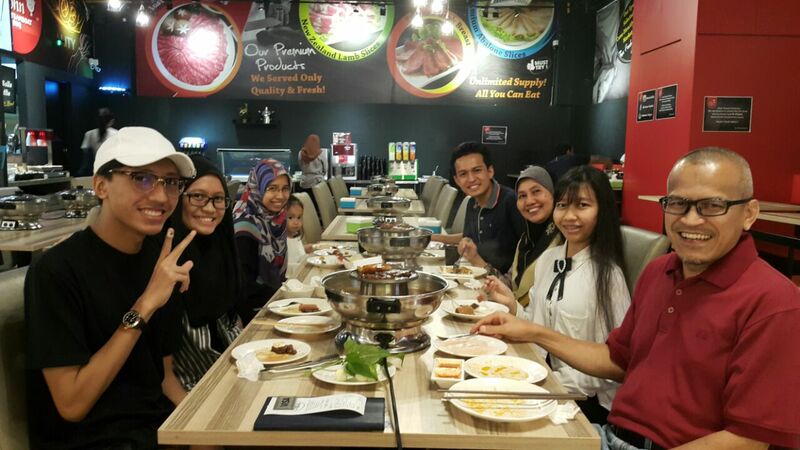 The total was around MYR315 for 7 adults if I'm not mistaken. But we do know that we enjoyed it a lot!